They will be available again; however, they are not in production at this time. Awesome t shirts – throw back shirt from the 90s . 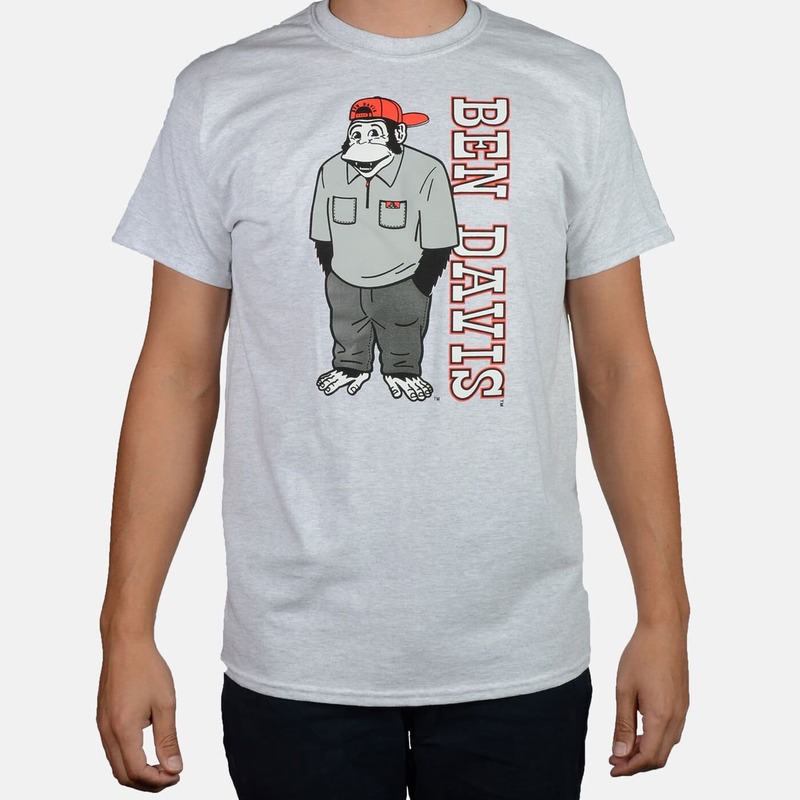 I use to have 1 just like this back in the day except it had “BEN DAVIS” written all the way around the shirt behind the monkey.. He still has the same outfit and the red hat still the same.. That was my favorite B.Davis T shirt! This one is not exactly the same. But I will still have to cop it! I had this shirt way back in 1996, I think it had the back 1/2 of the ape on the back of shirt. Could you tell me the length of a 3x please? I’m tall & hate to buy if it’s to short. Nice… a throwback from the 90’s. Now please bring back the tee with the big head monkey on it, I think it had San Francisco, Ca under the head.